OneNote and Evernote are both fantastic note-taking applications and they each have several amazing features that the other lacks — but there’s one feature in OneNote that stands out as both unique and productivity-boosting. We’re talking about OneNote’s Docking feature, which allows OneNote to “dock” to any side of the screen and prevent other windows from overlapping. It’s a relatively simple feature, but once you start using it, you’ll wonder how you lived without it. Docking is particularly useful when you’re taking notes from another window How to Use OneNote at School: 10 Tips for Students & Teachers How to Use OneNote at School: 10 Tips for Students & Teachers OneNote can transform the modern classroom. The note-taking app from Microsoft is designed for both students and teachers. Go ahead and organize, collaborate, and share with these tips for better note-taking. Read More and you find yourself constantly switching from that window to OneNote to jot down your notes. Examples include online videos, PDF lecture notes, PowerPoint presentations, etc. In order to enter Docked mode, all you have to do is go to the View menu and select Dock to Desktop. (Or you can just use the Ctrl + Alt + D shortcut). It defaults to the right side, but you can drag it to another edge if you prefer. While Docked, you can also take advantage of another feature called Linked Notes, which allows you to automatically link your current note in OneNote with whatever you’re viewing (whether apps or websites). Learn more on the Office page for Linked Notes. 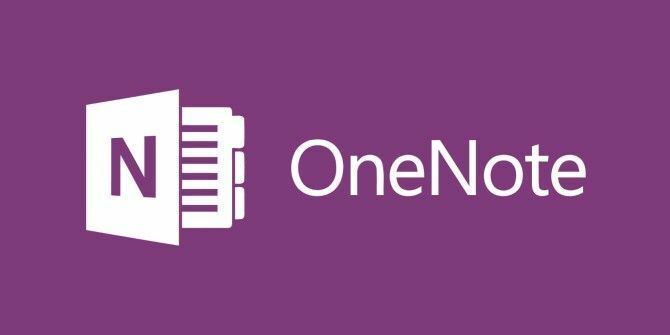 With the Docking and Linked Notes features, you can really start using OneNote in cool and unexpected ways 10 Unique Ways to Use Microsoft OneNote 10 Unique Ways to Use Microsoft OneNote OneNote is one of Microsoft's most underrated apps. It's available on almost every platform and can do many tricks you wouldn't expect from a note keeping app. Read More . Give it a try! Do you find Docking and Linked Notes useful? Which application do you prefer, OneNote or Evernote? Tell us your thoughts in the comments below! 10 Awesome Business Pitch Deck Templates to Wow Your AudienceEvernote vs. OneNote: Which Note-Taking App Is Right for You? Since this article, Evernote has jacked its prices significantly. I was already borderline on the old Premium price but now it's ridiculous. OneNote even has an Evernote importer to make the transition smooth. Wake up, Evernote! I loved the tool, but you're not the only game in town. 1. once a page is docked you cannot change to look at another page, which is exactly what I need. 2. when you are in the linked note taking mode the links that are put on your OneNote page only link to the whole page of the other app, rather than to a specific paragraph, which means I may as well put in the hyperlink to the paragraph on other app's page manually. Conclusion: I will not be using the docking feature. If your device screen is large enough, it's better to just snap OneNote to a side. You still retain the full interface while multitasking. That is an interesting thought. How do you do the snap? @Steady Kambodji: I figures it out. It is only possible with Microsoft's so-called apps. I don't use the OneNote app, I use the desktop version. @Steady: 3rd reply. Sorry to do it this way, but this site does not allow edits. Snapping regular program windows IS possible too. Thanks for the tip !!! Apparently this feature is not available on Macs. Sorry Ellen! Must be a Windows-desktop only feature then. Recently started a new job and I've been using OneNote for the first time to keep track of all the projects and meetings. I'll have to give this a try. OneNote and Evernote are both fantastic note-taking applications and they each have several amazing features that the other lacks — but there’s one feature in OneNote that stands out as both unique and productivity-boosting. We’re talking about OneNote’s Docking feature, which allows OneNote to “dock” to any side of the screen and prevent other windows from overlapping. It’s a relatively simple feature, but once you start using it, you’ll wonder how you lived without it. You can still easily "snap" any app to the right or left side of your screen. Just select the window and use Windows Key +left or right arrow to choose a position. This works on a multi-screen setup too.